Once the oven is up to temperature, place the skillet in the oven. 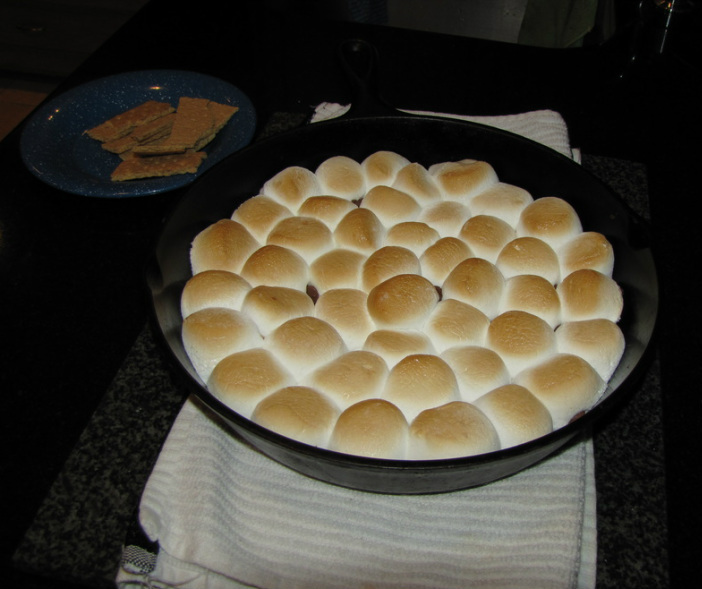 Bake for 7-9 minutes, or until the marshmallows turn golden brown. Serve with graham crackers for scooping. This made quite a bit. It would be fun to serve to a group of kids. 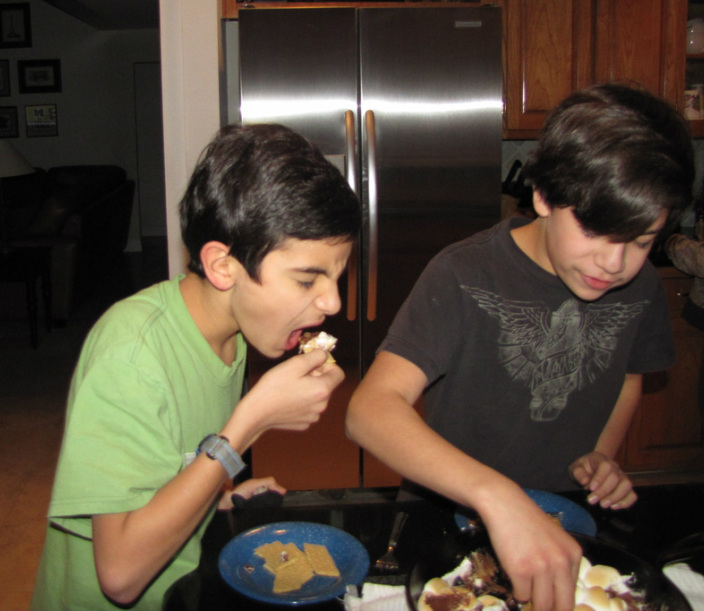 Watch 'em dig in like mine did.